The City of Semmes Fire Rescue Department administration offices are located at 9010 Forest Street, Semmes, Alabama, 36575. The phone number at the administrative office is 251-206-7565. The Administration office hours are 8:00 a.m. to 5:00 p.m., Monday-Friday. Emergency services are offered 24 hours a day, 7 days a week. The mission of the Semmes Fire Rescue Department shall be to safely execute prompt and professional fire, rescue, emergency medical and other pertinent public safety services, which include fire prevention education, in a fiscally and ethical manner with courage, compassion and integrity for those we are dedicated to serve and protect in our community. Response times have been a priority for the department and we have recently purchased new ipads to put on the engines to help us keep up with run times to compare them with dispatch. This with other procedures that have been put into place over the month of May 2017 has decreased our response times to an average of around 7:00 minutes. New life saving equipment has arrived (jaws of life, reciprocating saws and stabilizing jacks) to be put on our engines to help with extrication when someone is trapped in a vehicle. This was all possible through a $10,000 grant that was awarded to Semmes Fire Rescue by Gulf Coast RC&D. 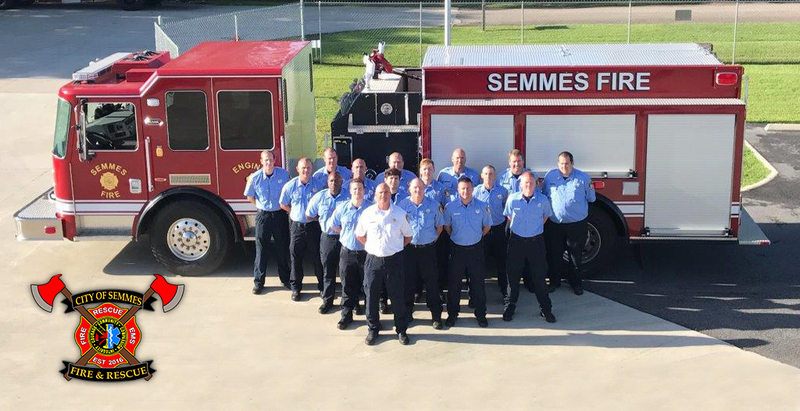 City of Semmes Fire and Rescue was established in November 2016. 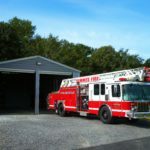 The new “paid” Municipal Fire Department was renamed Semmes Fire and Rescue in 2017. 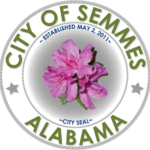 Previously, the City of Semmes was served by the Semmes Volunteer Fire Department founded in 1977. “Rat” Dearmon served as the first Volunteer Fire Chief and his wife Elaine Dearmon served as treasurer for the Semmes Volunteer Fire Department for many years. The original Dearmon fire station (Number 1) on Wulff Road was rededicated in their name in 2017 and continues to serve as a reminder of their dedication and devotion to the people of Semmes. Currently, there are around 24 full-time personnel in the department with 3 fire stations and 1 training center. The current Fire Chief is Kevin Brooks. Dedication and reopening of N. L. Dearmon Station 1. It is with great sadness that Semmes Fire Rescue announces the untimely passing of one of its former members that helped build and develop the level of Fire Protection for the citizens and community of Semmes Alabama. Charlie Lott joined Semmes Volunteer Fire Department in 1988 at the young age of 15 years old. He served humbly and with honor until his departure in 2009. Charlie Lott was referred to as Unit “21 and contributed so much to his Semmes Community through his dedication and commitment to the Semmes Volunteer Fire Department. He quickly rose to the rank of Driver and help lead the way in training by attending the first Firemanship I &II classes required by the Alabama Fire College. Charlie often shared his knowledge with others working their way up the ranks through training and mentorship. His most important message that he wanted to convey to the new firefighters he encountered was to never be stagnant and always strive to learn something new. A message he passed on from Chief “Rat” Dearmon was to always know the other persons job so you can fill that role when needed. In addition to his dedication to the Semmes Volunteer Fire Department Charlie also served his community through his volunteer work with Mobile County EMS 21 for a couple of years as well as his time with the Mobile County Sheriff Office reserve patrol. The Lott family has deep roots in the Semmes Community and nobody embodied that dedication to community like Charlie Albert Lott. Charlie graduated from Mary G. Montgomery High School class of 1994 and a 21-year employee of Taylor Wharton/Worthington Industries. He loved to hunt and fish. He was also a huge Alabama fan.